Morgan le Fay, 6th-century Queen of Gore and the only major character not killed off by Mark Twain in A Connecticut Yankee in King Arthur’s Court, vows revenge upon the Yankee Hank Morgan. 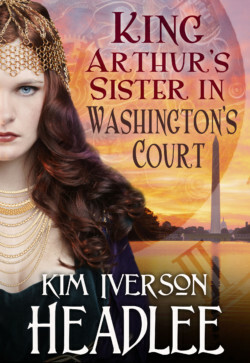 She casts a spell to take her to 1879 Connecticut so she may waylay Sir Boss before he can travel back in time to destroy her world. But the spell misses by 300 miles and 200 years, landing her in the Washington, D.C., of 2079, replete with sundry technological marvels.